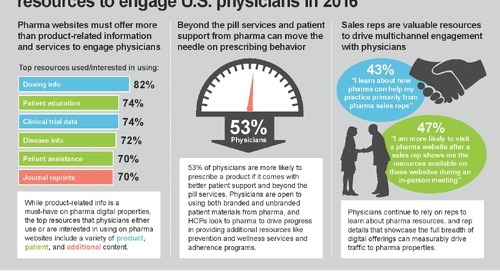 BURLINGTON, Mass., May 15, 2017 /PRNewswire/ -- Physicians value useful content from pharma that helps them do their jobs and manage care better, such as quality scientific information, patient education and diagnosis tools. However, physicians say that most of what they get from drug companies online is just advertising and they feel few pharmas are doing a good job at providing quality digital content, according to the Manhattan Research Taking the Pulse® U.S. 2017 study. 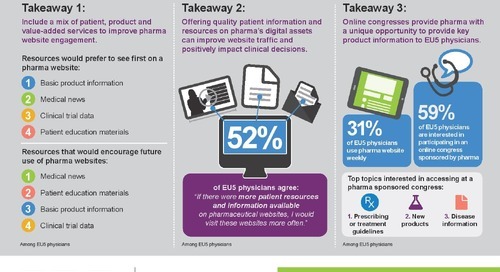 As a result, just 27% of physicians say they find pharma websites to be a credible source of professional information. 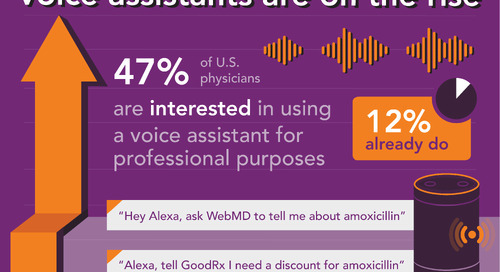 The findings are based on a survey of 2,784 U.S. physicians across 25+ specialties, exploring their use of emerging technology, how they find information and make decisions, and what they want from pharma companies.  Poor-quality digital scientific content: Quality scientific content is essential to earning physician trust – 70% of U.S. physicians agree "it is crucial that pharma companies provide education resources rooted in science to gain my trust." 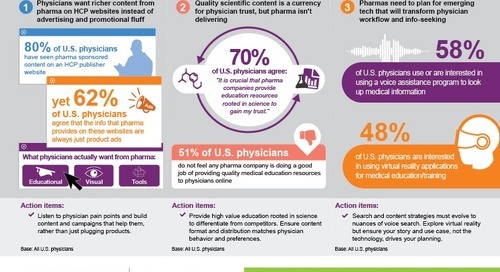 However, half of all U.S. physicians say that no pharma company is providing quality scientific content online. 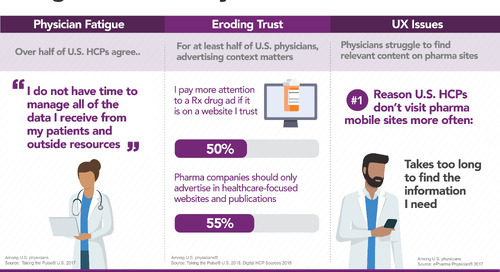 Physicians feeling ad overload: 62% of physicians agree that the info pharma companies provide on third-party websites for healthcare professionals "are always ads" for their products, and only one in three (34%) trust the information pharmas provide on these websites. 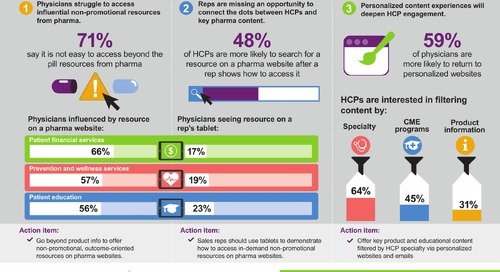 Physicians want more from pharma on these websites – for example, 54% of cardiologists want pharma-sponsored continuing medical education on non-pharma websites for providers, and 46% of urologists want disease diagnosis tools. 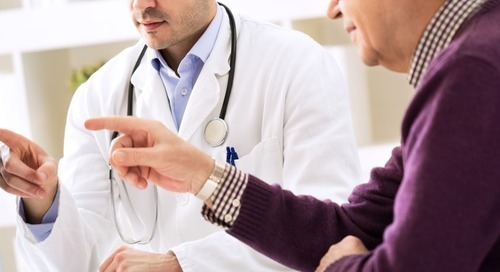 Lackluster videos: 49% of physicians who watch professional online video agree it influences their clinical decisions, yet 52% of physicians don't think that any pharma company is doing a good job at providing quality physician video content. 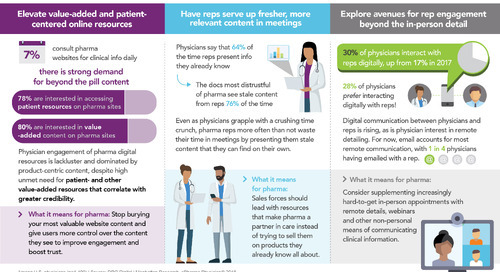 Mobile missteps: 86% of physicians use a smartphone to access digital resources for professional purposes, but 41% of smartphone users don't visit pharma websites more often because it takes too long to find the information they need. 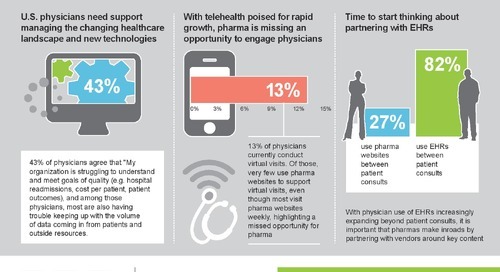 "Pharmas are doing a better job of providing a variety of digital content to physicians than they have in the past," said Kelly Pinola, Senior Analyst, Physician Research. 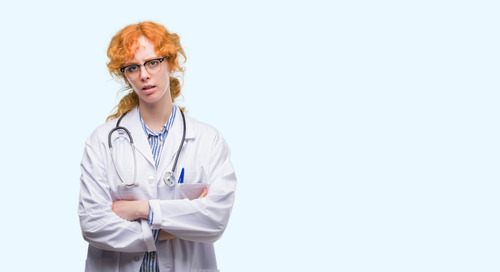 "However, physicians are telling us that pharma brands continue to disappoint when it comes to delivering the basic information they need to support their practices. 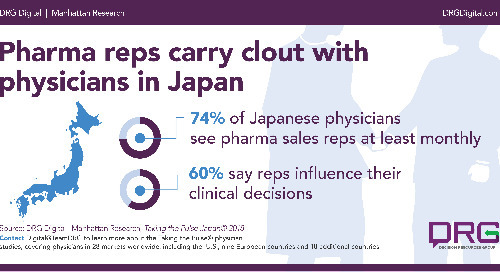 Pharma needs to dial down the promotional messaging and lead with valuable educational resources in order to regain physician trust. The good news for pharmas is that there's an opportunity here for them to differentiate themselves as truly user-centered organizations." 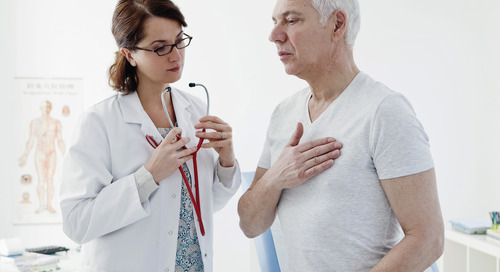 "What this study tells us is that pharma marketers need to stop chasing tech trends and refocus on what their customers really need to make better medical decisions and improve patient care," said Pinola. "Somewhere on the road to digital innovation, pharma lost sight of its core mission to serve physicians as partners in care. 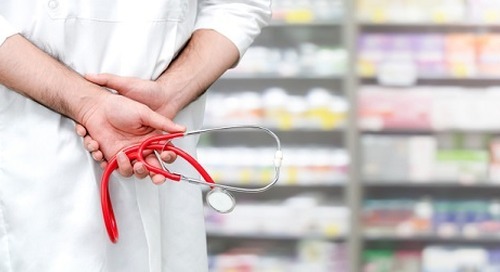 Instead of implementing new technologies just for the sake of it, pharma marketers should think about the needs of their customers and deliver solutions that address those needs." Senior Analyst Kelly Pinola will be sharing findings from the Taking the Pulse® study to help pharma brands create more effective physician marketing campaigns by understanding what their physicians want, how they want to interact with brands, and what drives prescriptions. Contact digital@teamdrg.com to learn more. 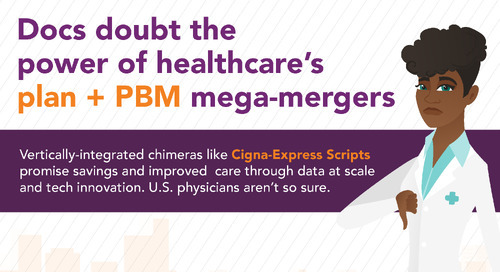 An infographic summarizing additional Taking the Pulse® key findings can be found here. DRG, a subsidiary of Piramal Enterprises Ltd., is the premier source for global healthcare data and market intelligence. A trusted partner for over 20 years, DRG helps companies competing in the global healthcare industry make informed business decisions. Organizations committed to the developing and delivering life-changing therapies to patients rely on DRG's in-house team of expert healthcare analysts, data scientists, and consultants for critical guidance. 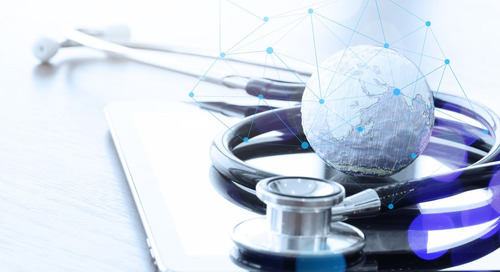 DRG products and services, built on extensive data assets and delivered by experts, empower organizations to succeed in complex healthcare markets. To learn more, visit www.decisionresourcesgroup.com. DRG Digital, a part of DRG, is the life science industry's decision support partner for data-driven customer engagement and marketing. 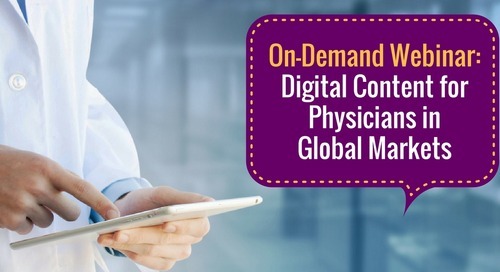 DRG Digital's Manhattan Research studies have been the industry's go-to source for physician, patient and payer multichannel behavior and attitudes and digital best practices for more than 15 years. Brands, marketers and digital teams at 40+ leading life sciences companies rely on our experts, research and analytics to understand their customers and engage them with the right channels, content and messaging. 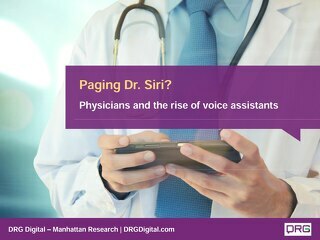 Visit www.DRGDigital.com or follow @DRGDigital to keep up to date on our analysts' thinking and access eBooks, infographics, webinars and other resources.